The Village Shops on Venetian Bay: SWFL Choice Awards Multiple Award Winner!! 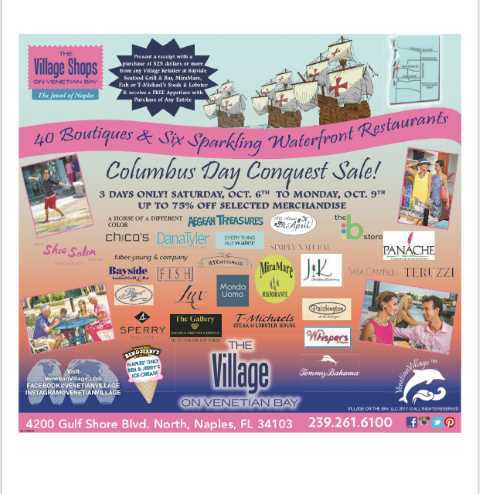 The Village Shops on Venetian Bay: First Annual Columbus Day Conquest Sale! The Village is Giving Back To Irma Victims!! 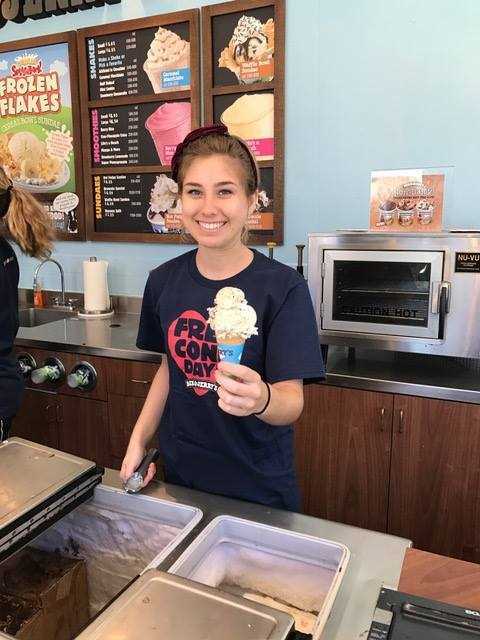 Free Ice Cream Cones at Ben & Jerry’s: Celebrate The End of Hurricane Irma!! VILLAGE POWER: The Village Shops on Venetian Bay is Open For Business!! 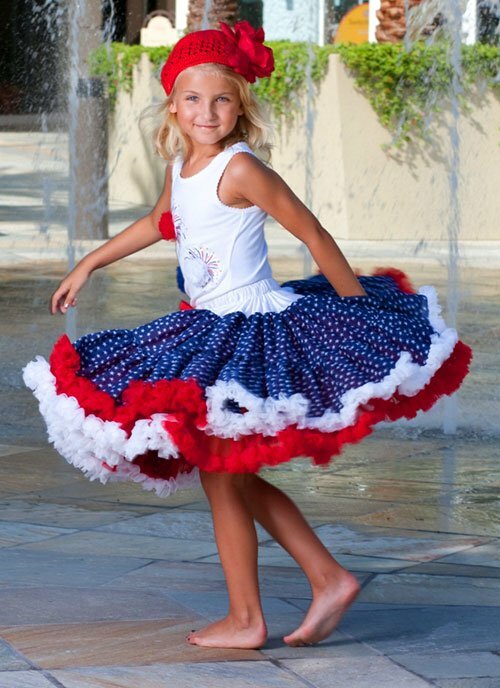 The Village Shops Celebrated Labor Day with Astounding Sales! 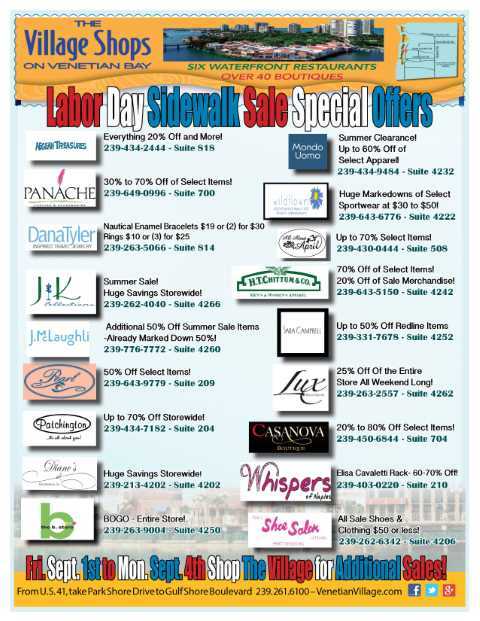 THE VILLAGE SHOPS ON VENETIAN BAY: ANNUAL LABOR DAY SIDEWALK SALE!!! 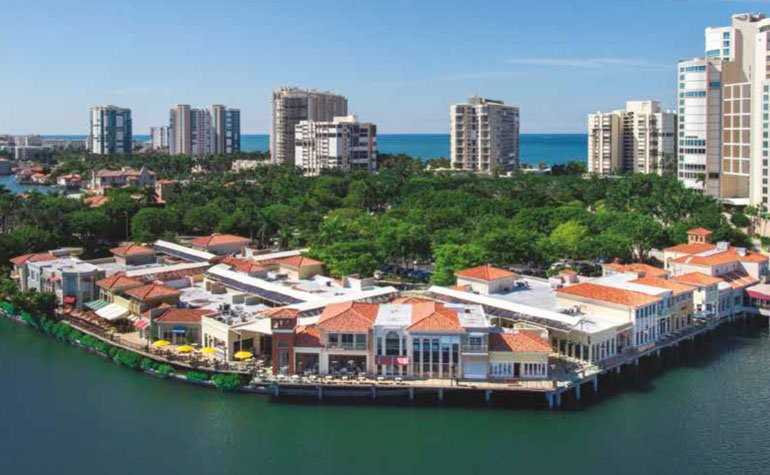 THE VILLAGE SHOPS ON VENETIAN BAY: ALL ABOUT APRIL TAKES HOME THE SILVER!! 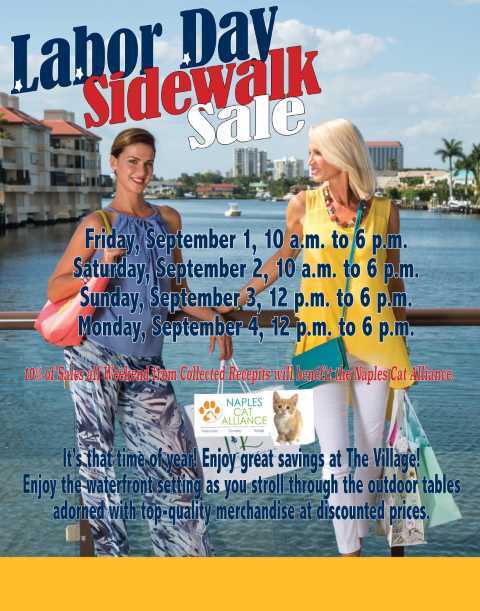 The Village Shops on Venetian Bay; Annual Labor Day Sidewalk Sale!! !